Designed by Ryder Cup Hero Christy O’Connor Jnr., Glasson Golf Club opened to the playing public in 1993, at 7,120 yds of the blue stakes this championship course will test the best of golfers and will be enjoyed by all. Surrounded by Lough Ree on three sides it is set in the most spectacular of landscapes. Somebody described it as "One of the most scenic pieces of land I’ve ever seen in my life, with the first nine overlooking Lough Ree and the second nine Killinure Bay. There is nothing I’ve seen that comes close to that." 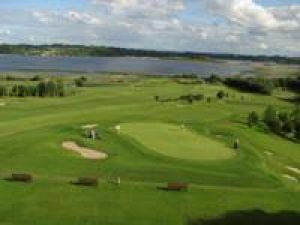 The course is a Mecca of feature holes, but the 15th is a fantastic little hole measuring 185 yd’s, with both the tee and the green situated in Lough Ree, will test the nerve of any golfer, a watery grave awaits the wayward shot, this is followed by three fine finishing holes and its back to the clubhouse. The Reid Family have created what is now known as "The Glasson Experience" with their new 4 Star, 65-bedroom hotel adjacent to the clubhouse, with magnificent views of the golf course and Lough Ree. Glasson is a must for any golfer visiting the Midlands or for your Societies Weekend away. Glasson Golf Hotel & Country Club trio, of Lady Captain Pauline Smith, Captain Tony McCarthy and Vice-Captain John Parker, were 3rd in the regional qualifiers of the Mercedes Benz-Irish Independent Executive Golf Trophy Tournament at Galway Bay Golf & Country Club in May 2001. Pauline playing off 26, Tony off 14 and John off 9 returned 77 points. They went on to compete in the National Finals at the K Club on the 13th of August. Local knowledge played its part when husband and wife Claire and Joe Kenny had 58 points in the Regional Qualifiers of the Spar-Irish Independent National Mixed Pairs, and booked their place in the final at St. Margaret's. 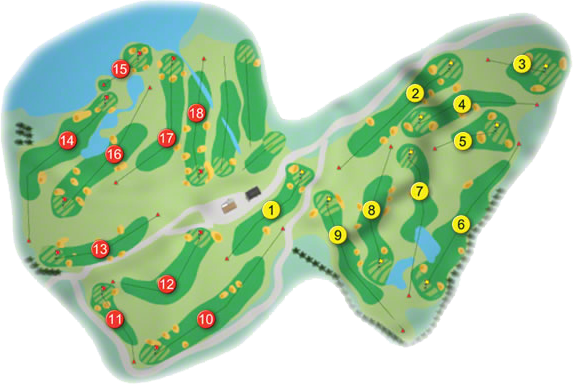 This is a unique competition where the first six holes are played as a scramble, the next six as foursomes, and finishes with singles. Moira Grogan is the only Lady Member to have had a hole-in-one and she did it on the 15th, the year she was Captain in 1996. The Reid family had Ryder Cup player Christy O'Connor Jnr. design this 18-hole course just outside Glasson Village, which opened for play in 1993. 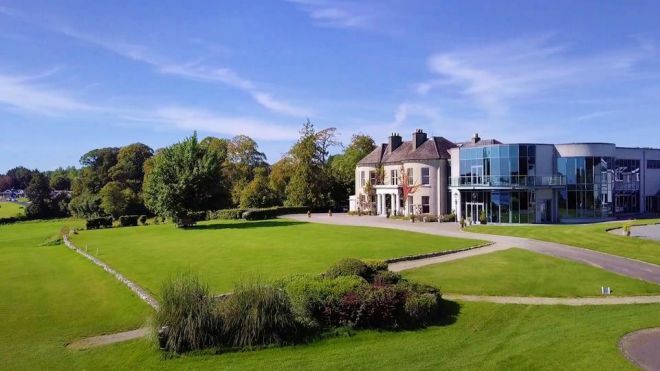 They are continuing the development of this magnificent course, with a new hotel with 30 high-quality rooms overlooking Lough Ree and the finishing six-holes.